If you are a fan of the Audi A4 Avant, you will be disappointed to learn the model will no longer be sold in the U.S. beginning for the 2013 model year. However, not all hope is lost. 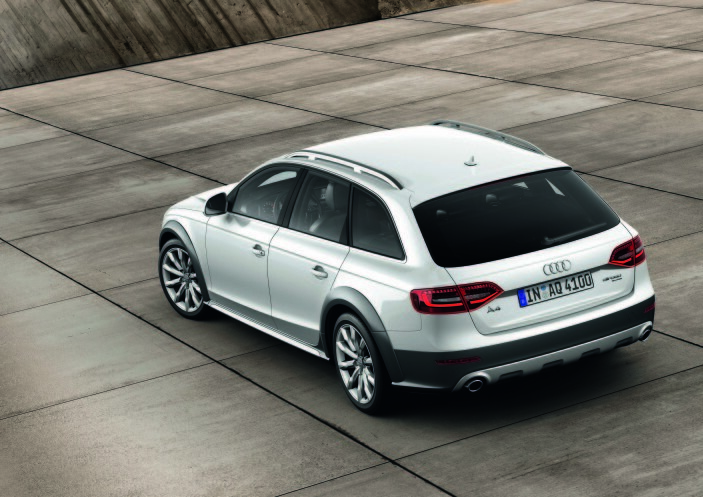 In place of the A4 Avant the U.S. market will receive a all-new version of the Audi Allroad, the first time the Allroad has been available in the states since 2005. For those unfamiliar with the vehicle, the Allroad, a beefed-up, go-anywhere, do-anything version of the outgoing A4 Avant is based on the same platform, but has added exterior features and interior options which differentiate it from the normal A4 Avant. The appearance of the Allroad can be distinguished by instantly recognizable lower bumpers and wheel arches finished in matte gray, (full body-color paint is available in these areas as a option.) Other exterior characteristics unique to the Allroad include single frame grille, stainless steel skid plates and side sills, and roof rails painted in an aluminum look. Under the hood the 2013 Allroad is powered by a turbocharged 2.0-liter, four-cylinder engine capable of producing a peak output of 211 horsepower and 258 lb-ft of torque. 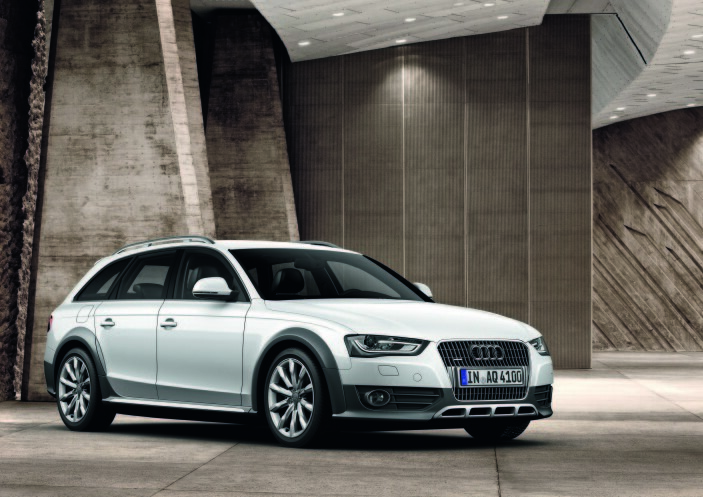 Power is transferred to all four wheels via quattro all-wheel drive along with an eight-speed Tiptronic transmission. 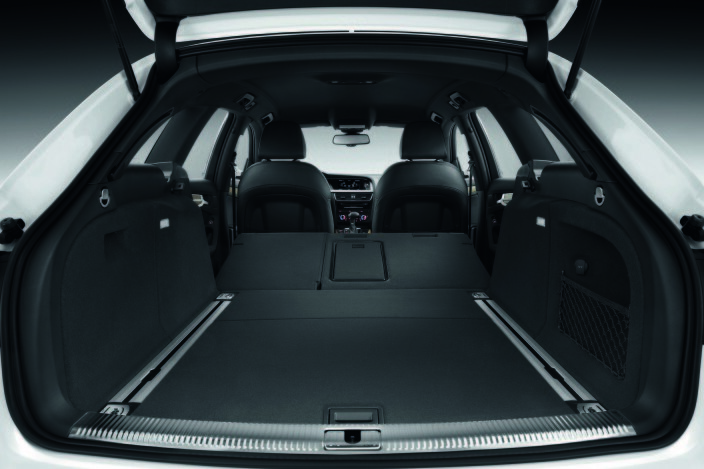 Other interior offerings consist of a panoramic sunroof and 8-way power seats. Heated seats with driver memory can be added at an extra cost. A Sports Package is also available and comes with 12-way power front sport seats, and a three-spoke steering wheel with shift paddles. Along with the Sports Package, the Allroad has an optional Driver Assistance Package, giving the operator such technologies as adaptive cruise control which keeps the Allroad at a safe distance from the vehicle traveling in front of it, active lane assist to keep the car in one’s desired lane, and dynamic steering to maintain consistent steering feel regardless of speed. Finishing off the technology-rich interior is Audi Connect, which is now available on both A4 and A5 models. The system allows for the navigation system to be enhanced with real-time traffic, weather and location information. Audi Connect also enables for up to eight mobile devices to be used at a time via built-in Wi-Fi.